UPDATED: Tue., Dec. 11, 2018, 5:29 p.m.
PULLMAN – The Valero Alamo Bowl won’t kick off for another 17 days, but already Washington State is trying to climb out of a deficit against its Big 12 opponent, Iowa State. As of Tuesday afternoon, the Cyclones still had a commanding lead on the Cougars in terms of how many tickets each program has sold to the Dec. 28 game in San Antonio. According to ISU Assistant Athletic Director for Communications Michael Green, the Cyclones had sold “roughly 13,500 tickets” from their allotment. Bill Stevens, WSU’s Assistant AD for Communications, told The Spokesman-Review the Cougars had sold an estimated 4,700 tickets by Tuesday afternoon. The Cyclones’ initial allotment went quickly. 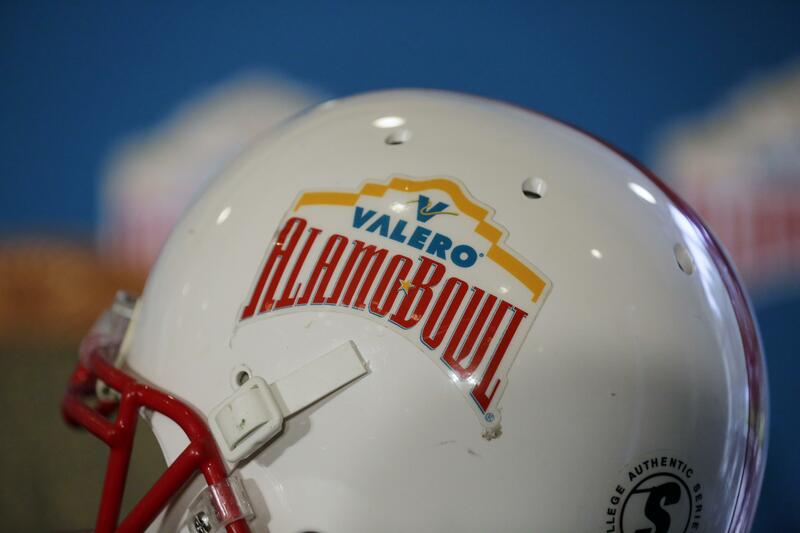 One day after Alamo Bowl tickets went on sale to the general public, ISU Athletic Director Jamie Pollard reported that the school had already sold all 12,000 tickets allotted. The Cyclones received another allocation from the bowl game and have sold approximately 1,500 tickets of their second allotment. ISU is also anticipating a hefty student turnout to the program’s second straight bowl game. Last Thursday, Pollard tweeted that the Cyclones had sold 1,600 student tickets. The AD vowed to personally fund the 1,000th ticket purchased by an ISU student. Bowl tickets flew off the shelf two years ago when WSU played Minnesota in the 2016 Holiday Bowl. According to The Seattle Times, the Cougars sold out of the original allotment of 7,000 within 48 hours of the bowl pairing being announced. Ticket numbers dipped last season when WSU made a second consecutive appearance in San Diego. Ten days after it was revealed the Cougars would be headed back to the Holiday Bowl, Cougfan.com reported that only 3,300 of the allotted 7,000 tickets had been sold. Nine days after the Alamo Bowl announced a Cougars-Cyclones matchup, WSU is selling tickets at a slightly quicker rate compared to 2017, but still has a way to go to reach the 2016 totals – or its Big 12 opponent in the post-Christmas bowl game. WSU’s reported numbers don’t necessarily reflect how many Cougar fans will show up to San Antonio for the program’s fourth bowl game in four years. Tickets can also be purchased through third-party vendors such as Ticketmaster.com and StubHub.com. As of Tuesday, the least expensive general sale seat available through Ticketmaster is $40. StubHub lists its cheapest ticket at $35. To purchase tickets through WSU, fans can visit www.wsucougars.com or call the school’s ticket office at 1 (800)-Go-Cougs. Published: Dec. 11, 2018, 3:28 p.m. Updated: Dec. 11, 2018, 5:29 p.m.